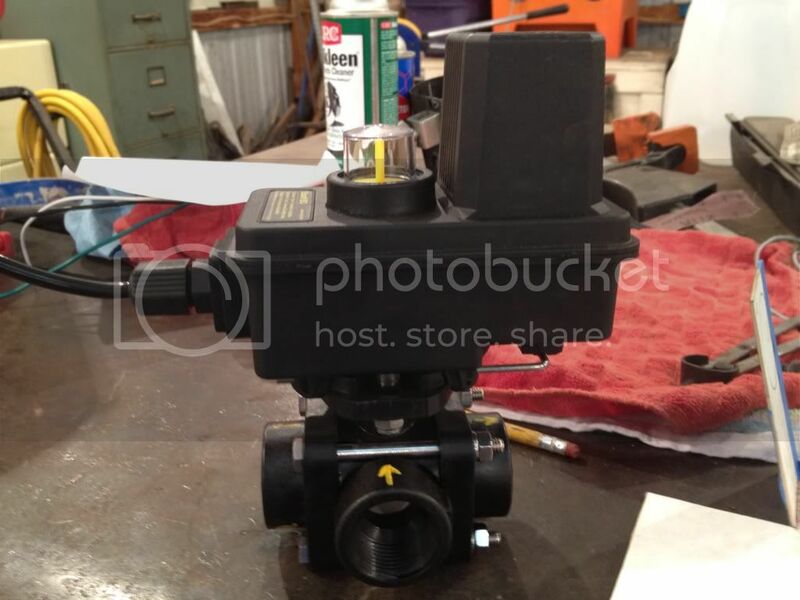 I located a 3 way 12 volt ball valve that can be remotely operated with a switch. Here's a few pic and a video of the valve operated. Its not completely installed yet so I don't have numbers yet, but Im confident that it will work great, and be the best of both worlds. When its cold out side you can use ambient low temp. and in the wormer days, bypass the heat exchanger and run solely on the killer chiller. Im not going into all the details about installing, but its straight forward and fairly simple, the bracket was the hard part. When I finish the install I'll take pic and post up. Trust me, it took a long time to find the correct valve, I've been looking for a while. Being that it's a Three way control valve it shouldn't be hard to find retail. Just look for control valves. There's a company called Thermatrol that sells them. I just deleted my heat exchange and completely rely on the killer chiller. Been this way for months and all over the southeast region with no issues. In the event of a compressor failure i have a gauge to watch iat2s to know when somethings wrong. You find all kinds of solenoid valves (expensive), other types as well but not affordable and 12volt with a quick cycle time. Be my guest to find a better resolve in valve type, this was the best option that I could find given my requirements. So how is this thing working for you? Could you post up a hose routing diagram? I can't seem to visualize it in my head. Looks like a nice setup. What was the cost on this valve? and whats the overall dims? the valve is $175, I went with the 1" valve to not impede coolant flow. I havent quite finished the install yet, but its fairly simple, the 3-way ball valve simply is put in sequence to bypass the bumper mounted heat exchanger in one position and run through it in the other position. 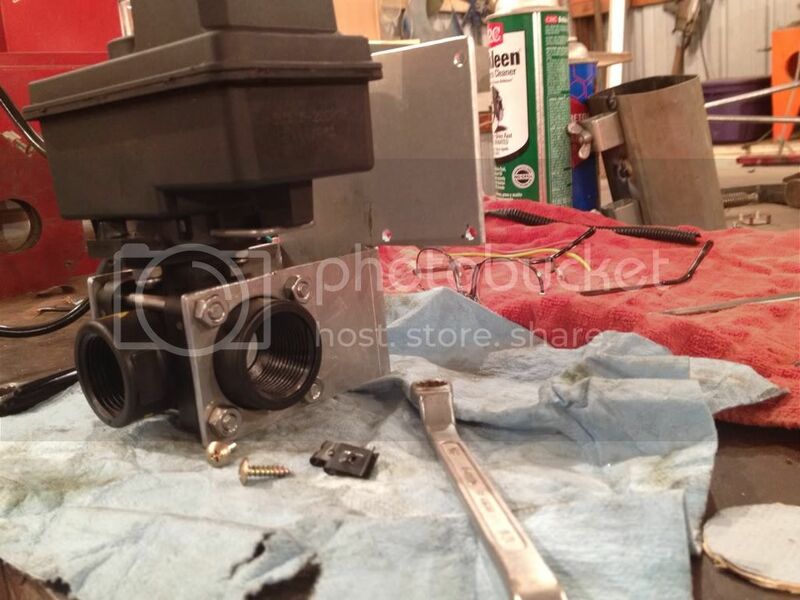 Its 12v volt motor operated valve, so with a simple flip of a switch it can be switched to change flow routing. Maybe that will help clarify or confuse even more lol. The idea is to have the best of both worlds, if its cold outside run the coolant through the heat exchanger, if its hot let the Killer Chiller do what its best at, keep the coolant below ambient temps. 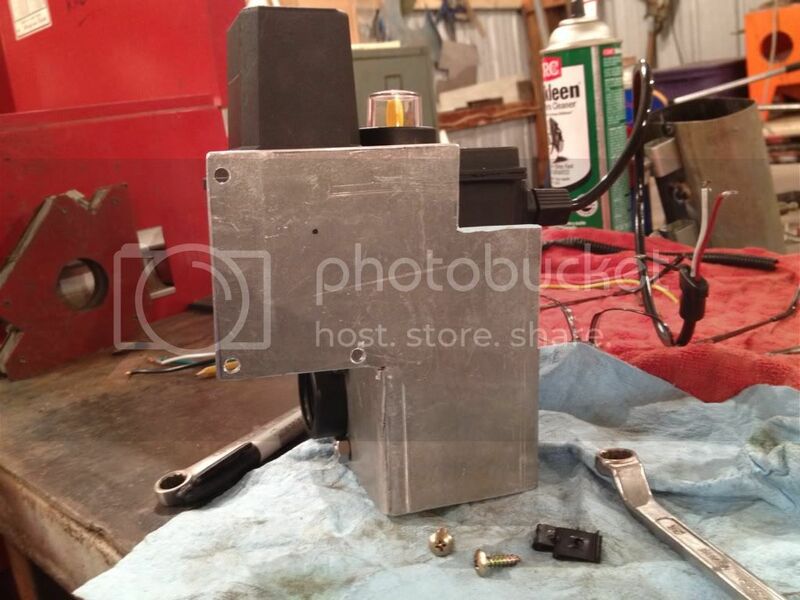 And it being cold is why I havent gotten off my lazy but and finished it, well that and Im in the process of building a CNC bridgeport Mill and havnt taken the time to finish it. The other thing is I wastn looking forward to laying on my back and antifreeze running down my armpits. I now have a lift installed in my shop so I can finish the installation quick and easy. (all that remains is routing, connecting the hoses and a small amount of electrical. Do you plan on hooking it up to the A/C compressor so when it kicks on, the valve turns to bypass the H/E, or a switch? For the imaginatively challenged, here is the best way too hook it up with one 3-way valve. The absolute best way would be to have one 3-way valve at each junction, but the cost/benefit wouldn't be worth it at $180 a piece. I used to do a similar setup with a 3-way manual brass valve and an ice box in the bed of the truck. Works the exact same way, but is $150 less. Not as nifty, but perfect for at the track or those that don't have a KC.